Wishing you all a Happy and Peaceful and Joyous and Blessed Easter! I have chosen a Croatian poem that I hope will bring as much meaning to you as it does to me. of new Sun for salvation to shine. in accordance with the love that spreads from you. for that beautiful moment my heart watches. Into the Dawn of life. novog Sunca spas da mi sja. po ljubavi vječnoj što se širi od tebe. za taj divan čas moje srce bdije. Love the egg right in the middle of town! Dear Ina, we wish you and your family a Happy Easter. Thank you CCRES TEAM! Happy Easter to you all and all happy days ahead! Likewise and thank you! Wishing you much peace and joy on this day of celebrating life! 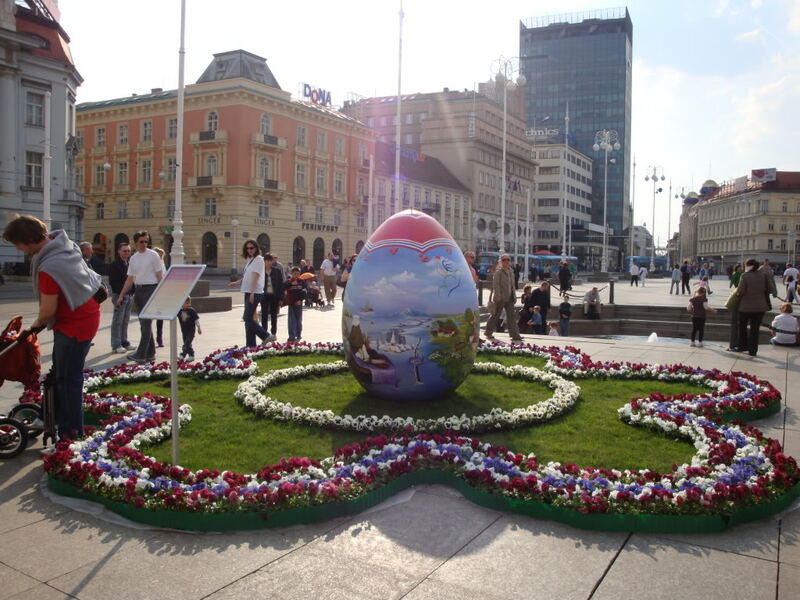 Happy Easter / Sretan Uskrs to all. God bless. What joy, Sunman! Blessings as well! Thank you for reblog, Barbara – all the joy of Easter to all! Happy Easter, Ina! I love that poem! Easter Wishes to you. Lovely image and poem. Hope you’ve had a wonderful Easter. They did a lovely job with the Easter egg display. Hope you had a blessed Easter! The Easter Egg in the city circle is just stunning.